Visit his website at: www.tombale.net follow him on Facebook, or on Twitter: @t0mbale (zero instead of “o”). My review of ‘The Catch’, out now, follows the Q&A. If people are new to your books as I am, tell us a bit about yourself and your background and as a now full time writer, do your previous jobs play a part in your books? I’ve had various jobs over the years, including a half-hearted career in the heady world of insurance claims and a few years as a project manager, not to mention a far more demanding spell as a house-husband with two pre-school children. 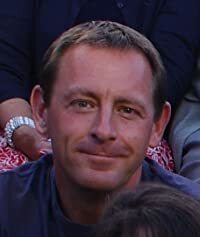 I wouldn’t say the work informed my writing to any great extent, although I did use my knowledge of fraud investigation in my first published book, which came out under my real name, David Harrison (Tom Bale is a pseudonym, introduced because I discovered various other writers share that name). Tell us about ‘The Catch’ and how the idea for this book originated? The idea grew out of another, abandoned novel a few years back. What I took from it were my main characters, Dan and Robbie, and the issue of a long friendship gone sour. Although they were best mates at school, as adults Dan and Robbie have little in common, but they won’t acknowledge that they don’t really like each other anymore. The friendship endures out of habit, and as a result they’re forced to work together and share the secret that could destroy them both. Although I love to read police procedurals, in my own work I prefer to focus on ordinary people whose lives are thrown into turmoil. In The Catch, Dan and Robbie make one terrible mistake, which is compounded by their attempt to cover it up, setting off a chain of events that gradually puts them and their families in mortal danger. I found the plot was very character driven which was refreshing for a thriller where usually the needs of the plot overtake the characterisation. How fully formed were the characters in your mind to start with, and how important was it that none of the characters appear to be all good or all bad? Generally I prepare a few background notes for the main characters – in this case Dan, Robbie and Robbie’s sister, Cate. Mostly, though, I just get down to work and hope they come alive as I write about them. Usually they do, but sometimes I have to go back during the rewrite and make some major changes. Weirdly, it’s the minor characters that often materialise, fully formed, from their very first line of dialogue. It’s very important to me that the characters are well-rounded, though in the past my editor has commented that I can be too sympathetic to my bad guys. My feeling is that most people, however unpleasant, have some kind of redeeming feature. Those who commit terrible acts have usually found a way to justify that behaviour in their own minds, and so I try to represent the characters as they would see themselves. I’d say that Stemper, in this book, is one of the least sympathetic characters I’ve ever created, although that made him great fun to write. I loved the very contemporary feel of the book with its references to popular culture and music. What are your musical preferences and do these aid your writing process? I’m afraid my musical preferences were formed in the 1970s and haven’t changed a lot since. The media player on my computer goes all the way from Abba to Yes! I have a particular devotion to Bruce Springsteen, who for me has assumed a godlike status. If I’m writing at home I’ll usually put music on, if only to block out more distracting noises, but it has to be something very familiar. Anything new and I’m likely to stop work to listen. What do you love most about writing thrillers? The momentum of the storytelling. My first drafts tend to be large and unwieldy, and in subsequent drafts I cut a lot away, until I can feel the sense of urgency that (hopefully) drives the reader to turn the pages. I also try to avoid planning more than a few chapters ahead, so that the story and its twists remain as much a surprise to me as to the reader. Mind you, that way of working has got me in a terrible mess on more than one occasion. What or who are some of the biggest influences on your writing? Enid Blyton was the first important inspiration – I can remember devouring her books, particularly the fantasy stories like The Enchanted Wood and The Wishing Chair. In my teens, when I started writing with serious intent, Stephen King was a huge influence. What marked him out from his peers was his ability to create such believable and sympathetic characters, and that’s something I’ve tried to emulate ever since. Once crime fiction became my main interest, John Sandford was a big influence. His prose is so clean and economical, with a great rhythm, and he’s a master at creating tension, even when you’ve been introduced to the killer on page one. It’s a scandal that he doesn’t outsell James Patterson! How long does it take for a book to take shape from the initial germ of the idea and do you adhere to a strict writing schedule? The first draft takes around six or seven months, with another four or five months of rewriting. The adjustment to writing full time turned out to be quite a struggle. All too often I spent my days watching property shows and surfing the internet, then writing in a mad panic in the evenings. A couple of years ago I embarked on a new routine where I walk or cycle to a cafe and try to stay there until I’ve done at least a thousand words. In the evening I do paperwork (and waste time online) and then I often write again from about 11 p.m. till 1 or 2 a.m.
I’m working on two books at the moment, though whether either of them will see the light of day I have no idea, since I appear to have mislaid my publisher. I’m revising the first draft of a YA fantasy novel, influenced (in tone at least) by the John Wyndham classic, The Midwich Cuckoos, and a wartime film called Went The Day Well. I wrote it purely as a labour of love and it was a dream to write: 130,000 words in less than four months, with no wrong turns whatsoever. I’m going flat out to get both of those finished by the summer, with the intention of writing another book in the autumn – and maybe, just maybe, I’ll still be a writer this time next year. If you could be any fictional character…. 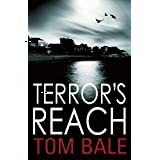 Jack Reacher, for all the obvious reasons, though I’m tempted to cheat and nominate a real character instead. I’m currently reading Sylvie Simmons’s excellent biography of Leonard Cohen and wow, has he had an interesting life! There are lots of books that I intend to re-read, but I struggle just to keep up with the new books I’m always buying. The only exceptions are Graham Greene, who is probably the writer I admire most, and John Sandford, because if I’m ever struggling with my own writing and need reminding how it’s done, I’ll pick up a Lucas Davenport novel. In recent years nothing has impressed me more than The Dark Knight. It has a few flaws, but as a big budget blockbuster movie it’s in a class of its own. 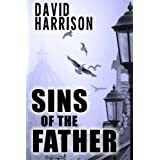 The story is so complex and well constructed, with far more sub-plots than most films would dare to attempt: to my mind it’s more like a novel than a movie – and more of a crime story than a superhero one. The only downside is that I haven’t really enjoyed a big action movie since – including, sadly, The Dark Knight Rises. Your idea of a perfect day…. A drive with my family through beautiful Sussex countryside, a wander around a pleasant town that must include at least one bookshop. Buy a couple of books, then lunch and a pint or two in a country pub, and back home to read and eat chocolate. Bliss. Sadly my singing voice is far too appalling for either. Driving alone on a motorway is about the only safe venue. Despite being at an age when I could acceptably indulge my inner geography teacher, I don’t actually own any cords, so denim it is. 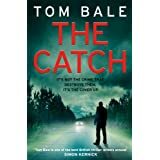 As I say at the beginning of Tom’s Q&A, I am new to his writing and reading ‘The Catch’ which is a stand alone novel was an excellent introduction to this author. I found this story fairly zipped along, as we become embroiled in the life of Robbie Compton, whose one moment of intense stupidity has serious repercussions for those closest to him. Robbie is an arrogant, irresponsible and headstrong individual whose greed and foolhardy actions, not to mention a dangerous liaison with a gangster’s wife, draws him into the sights of not only a couple bent on revenge, but also into the path of a ruthless henchman. As the story unfolds, the bonds of friendship and loyalty become fragile with Dan and Cate, in particular, navigating the fallout of Robbie’s actions and both paying a personal cost, stretching the boundaries of their relationship with the charming yet scheming Robbie. The characterisation of all three is spot on as Bale bestows Dan and Cate with complicated and emotional personal lives that become all the more difficult due to Robbie’s actions, and as Tom references in his Q&A just how strong are these friendships in the present, as they all seem to have grown away from their younger selves and are clinging to the loyalties of the past. 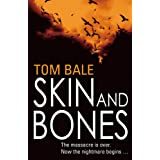 Bale’s firm grip on the characterisation resonates though other figures in the central plot who veer from seedy, to stupid, to calculating and scheming, and I would highlight in particular Patricia and Gordon Blake, who are after Robbie’s blood and whose motives in this form an interesting diametric in the plot. Are they really as bad as we think they are? They are assisted by Jerry, one of the most inept right hand heavies ever, and the brilliant Stemper, a self contained and utterly ruthless troubleshooter and a mass of contradictions that plays with the reader’s perception of him to some degree. The plot is well-paced enough, but does rely at times on questionable coincidences that overall were forgiveable as the story arc did draw you in and hold you there. 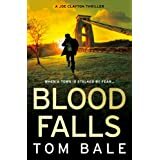 A good level of violence and bloodshed throughout, and some genuinely unexpected moments that catch the reader offguard. There are quite entertaining touches including Stemper’s initial introduction to the book, the bumbling haplessness of Jerry, and Robbie’s fledgling career as a bored housewife’s gigolo in order to acquire an alibi, that add a nice humour to the book and peppered throughout with genuinely laugh-out-loud moments. Indeed, Robbie is a very effective comedic foil to the teeth gnashing and exasperation of the dull and intense Dan, and Robbie’s confused sister Cate.